auch beeindruckend aus. Wenn man es nicht kennt, reibt man sich natürlich die Augen. 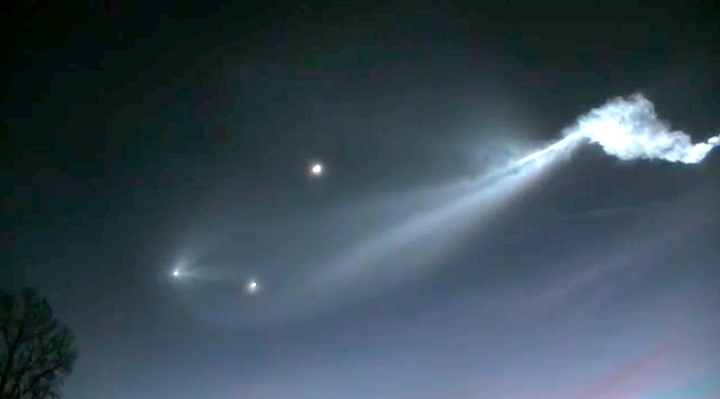 A reused SpaceX rocket carried 10 satellites into orbit from California on Friday, leaving behind a trail of mystery and wonder as it soared into space. The Falcon 9 booster lifted off from coastal Vandenberg Air Force Base, carrying the latest batch of satellites for Iridium Communications. 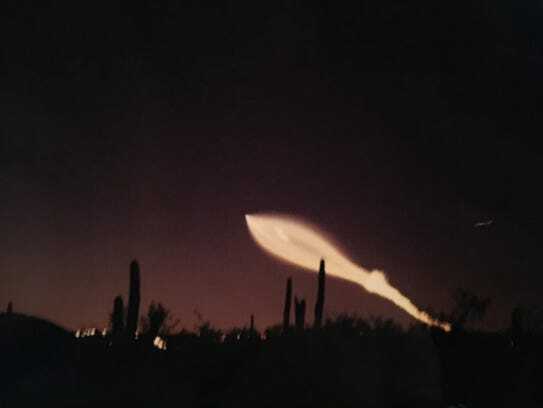 The launch in the setting sun created a shining, billowing streak that was widely seen throughout Southern California and as far away as Phoenix. 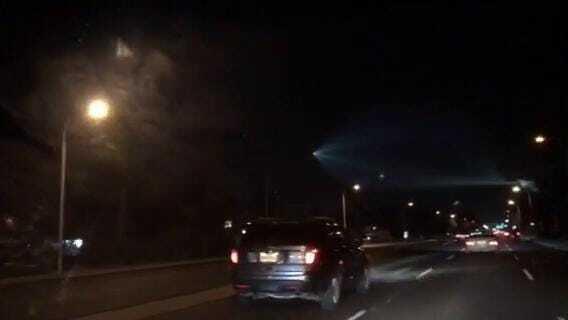 Calls came in to TV stations as far afield as San Diego, more than 200 miles south of the launch site. Cars stopped on freeways in Los Angeles so drivers and passengers could take pictures and video. 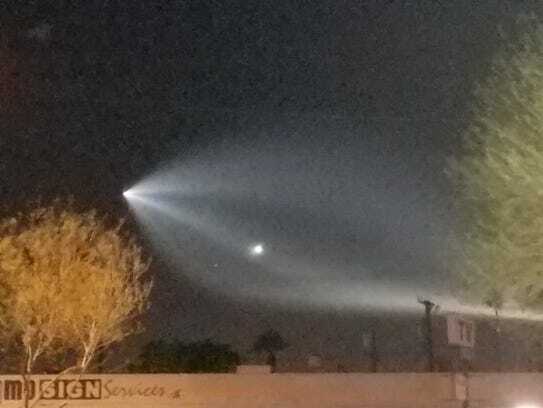 The Los Angeles Fire Department issued an advisory that the "mysterious light in the sky" was from the rocket launch. 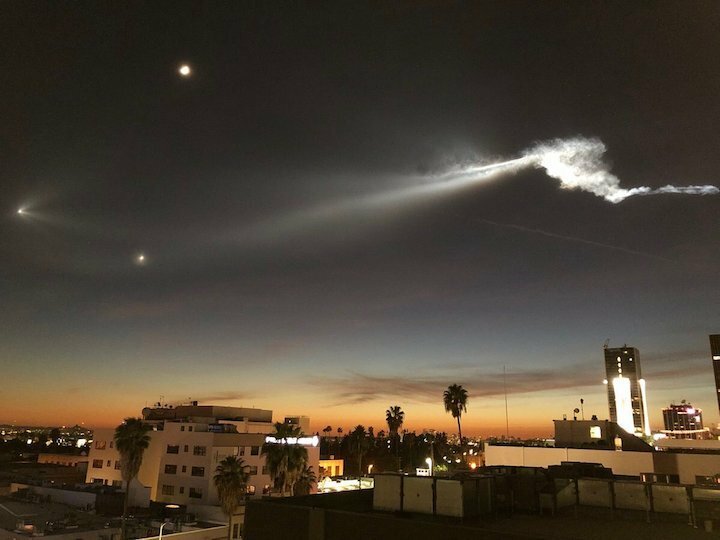 Jimmy Golen, a sports writer for The Associated Press in Boston who was in Southern California for the holidays, said he and other tourists saw the long, glowing contrail while touring Warner Bros. studio in the Los Angeles suburb of Burbank. 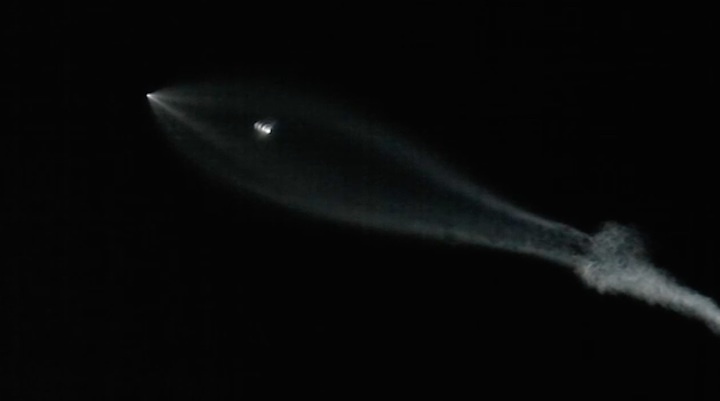 "People were wondering if it had something to do with movies, or TV or a UFO," he said. "It was very cool." The same rocket carried Iridium satellites into orbit in June. That time, the first stage landed on a floating platform in the Pacific Ocean. This time, the rocket was allowed to plunge into the water. It was the 18th and final launch of 2017 for SpaceX, which has contracted to replace Iridium's system with 75 updated satellites. SpaceX has made four launches and expects to make several more to complete the job by mid-2018. The satellites also carry payloads for global aircraft tracking and a ship-tracking service. 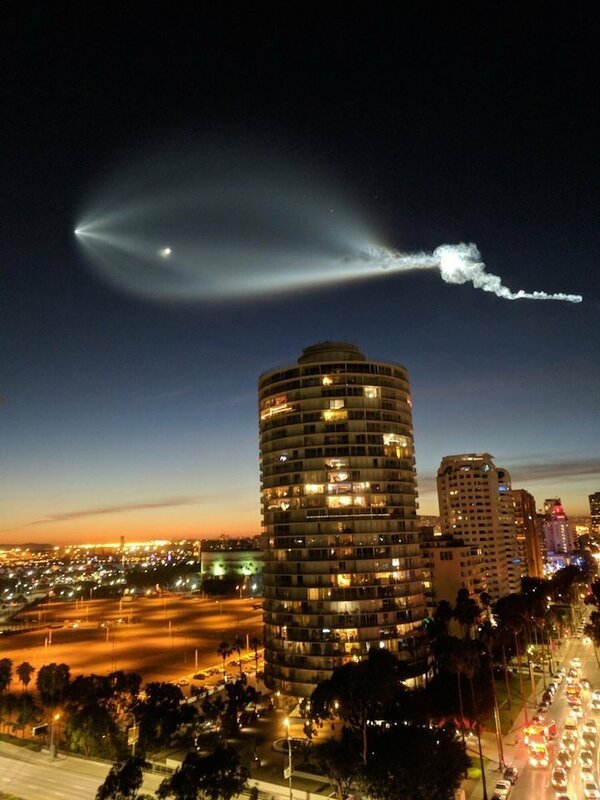 A view of the SpaceX rocket launch from a City of Phoenix roof cam — in just two brief minutes on Dec. 22, 2017. 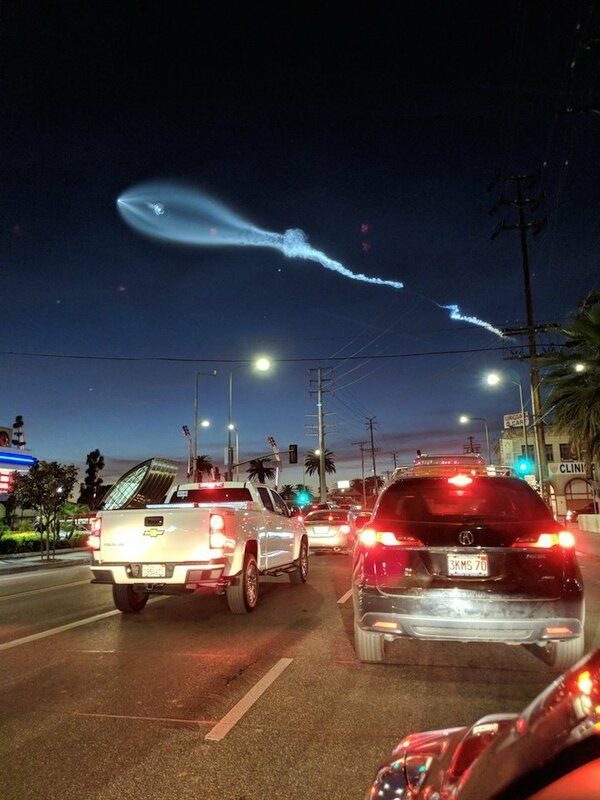 SpaceX, a private space-exploration company, reported that it had launched a rocket carrying satellites from Southern California earlier in the evening. Credit: https://m.facebook.com/tapsmediallc/. 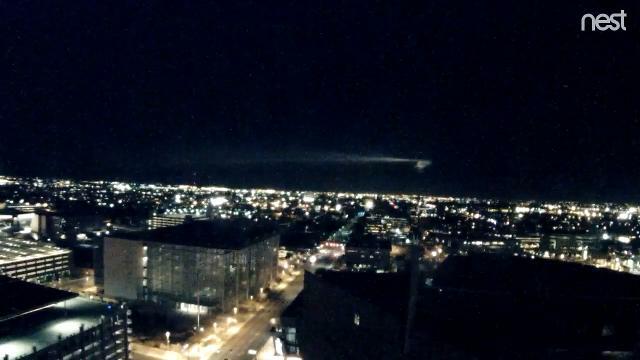 Scores of Phoenix-area residents spotted a streak of smoke and blue light across the night sky Friday, prompting speculation about what it could be. Relax, no UFOs this time. 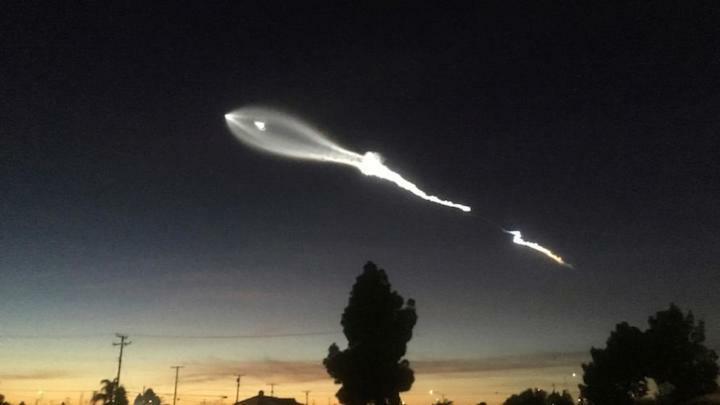 SpaceX, a private space-exploration company, reported that it had launched a rocket carrying satellites from Southern California earlier in the evening. 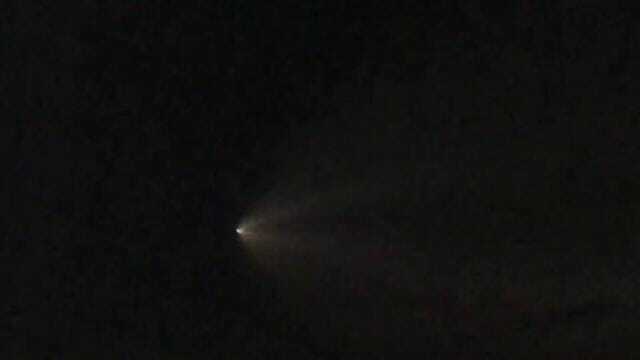 Numerous area residents were posting photos on Twitter and contacting The Arizona Republic about the stunning sight. Pam Sutton of Maricopa said she and her husband were driving around 7 p.m. when it was pitch black outside. 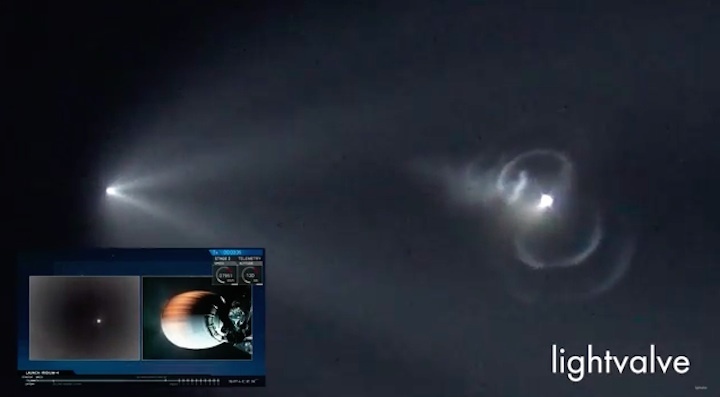 "We saw this really bright, bright light shining from an object moving away," Sutton said. 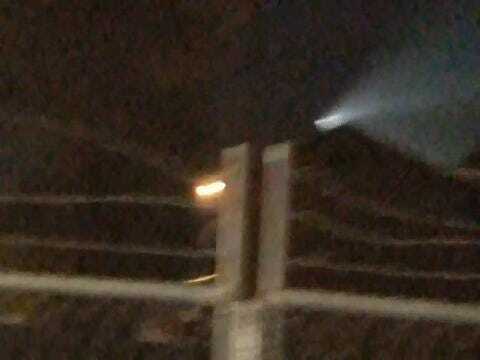 "It looked like a UFO to us." She said everyone was also pulled over on the side of the road taping the event. Even former Gov. Jan Brewer saw it. "It was a traveling, quite expedient, little light. It was bright blue, leaving a trail of light particles," Leona Henry, an officer at Lewis Prison in Buckeye, told The Republic. Henry ruled out Northern Lights since Arizona is too far south, then wondered if it was a missile from North Korea. "It left this gorgeous blue trail across the entire sky," she said. 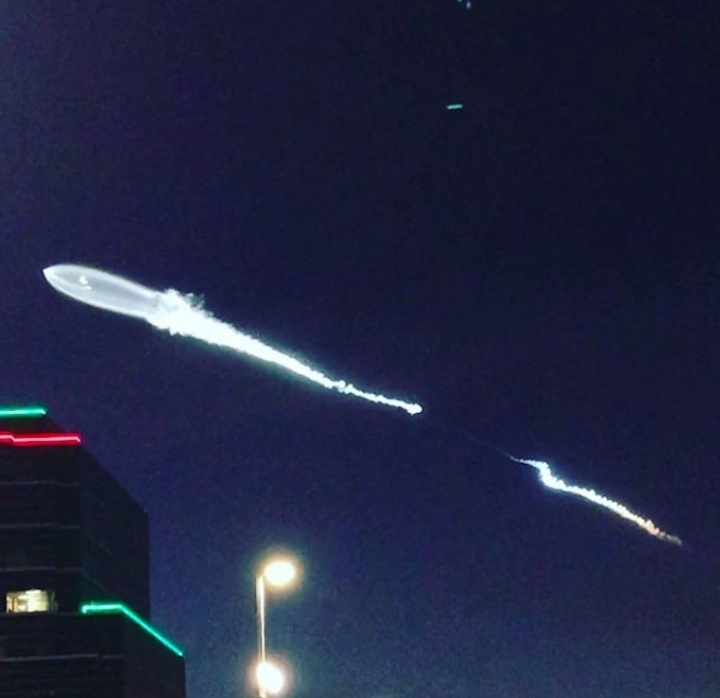 "It just lit up the sky." 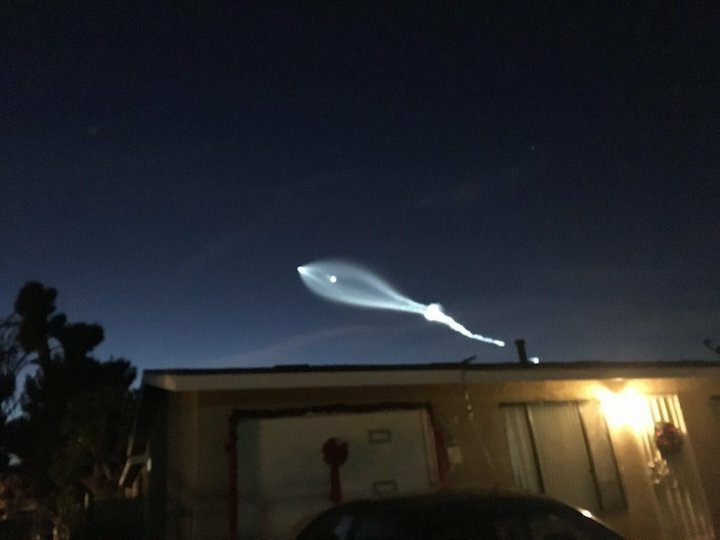 SpaceX tweeted around 4:30 p.m. that its launch from Vandenberg Air Force Base north of Santa Barbara would occur in about an hour. The Iridium-4 is the fourth set of 10 satellites in a series of 75 total satellites that SpaceX will launch for its global satellite constellation, the company said on its website. 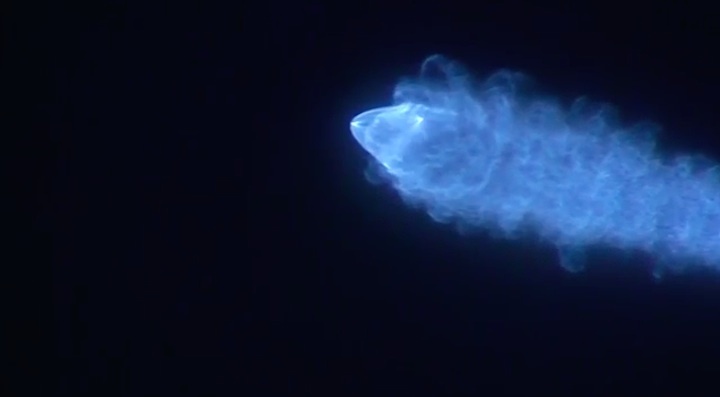 A SpaceX spokesman did not immediately return a request for confirmation.